Here at CrossFit Iron Pelican our passion is not only for your health & fitness, but to help you surmount to any challenge life throws at you. We are a community of diverse people with different goals, all sharing the same road to getting there. Here at CrossFit Iron Pelican, we take pride in being technically sound and safe. Every New Member will be scheduled an Intro. Session. A simple run down of rules / foundation / assessment & what to expect in each CrossFit class through our programming. 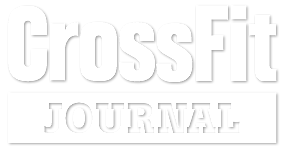 CrossFit is a great tool for beginners interested in weight training, people looking for support in a tight-knit community, fitness fanatics, former athletes and more. It has built-in teamwork, competition, and is designed for universal scalability. Here at CrossFit Iron Pelican our passion is not only for your health & fitness, but to help you surmount to any challenge life throws at you. We are a community of diverse people with different goals, all sharing the same road to getting there. Join Us and Live at your Fittest ! CrossFit Iron Pelican is not just a gym, it is a community and a place where lives are transformed. Our goal is to help push you to be your very best and reach your fitness goals – what ever they might be. For some, this may be for athletic purposes; for others the goal may be to have more energy, lose body fat or to improve workouts, job performance and/or sleep. Whatever your goals are, we can help! CrossFit Iron Pelican is offering something more for West Monroe community. Approaching CrossFit from the ground up, we have designed a program fit for any level of experience. New to CrossFit? Our world class trainers and one of a kind facility will be sure to make you a more fit, functional athlete, mom, dad, teacher, or grandparent!